Rabies…. we don’t want that. I got a big needle in my bottom that I hardly reacted to…. the vet said that it was for anti-rabies so that I don’t get sick in the future. He loves taking care of me because I am really very good around him. I am not scared, and in general I lick everyone’s face, including the guy who sticks me with needles. Mom is calm while we are there, so that helps me stay calm about everything. I also know that if I am good my mom will give me a treat when we get home. 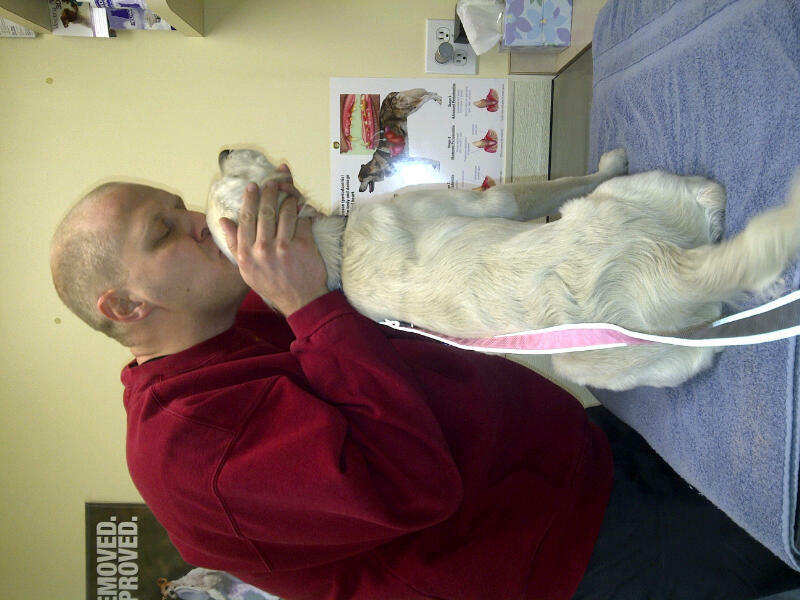 The vet usually gives me a big hug and a vitamin when he sees me…. then we deal with whatever he has to do to me. I got kisses for being a good girl. 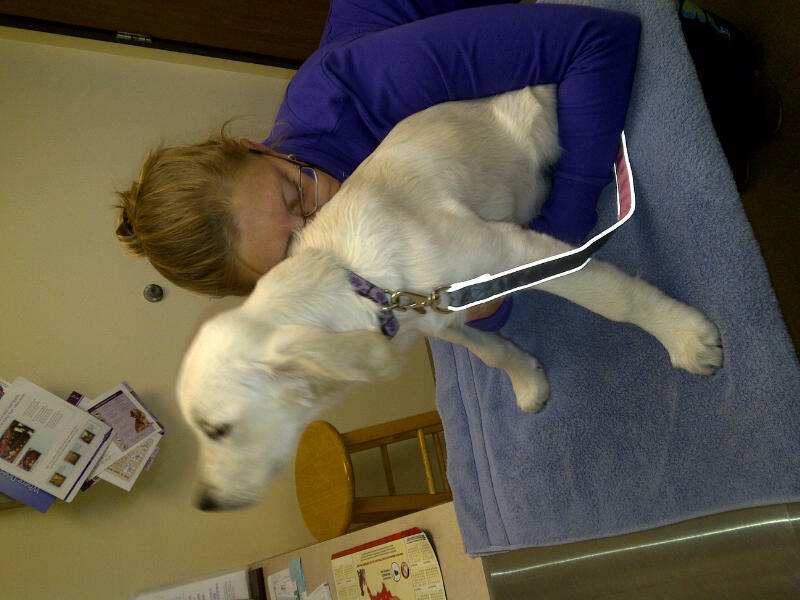 No more trips to the vet for me for a little while. I am a healthy, Happy pup.